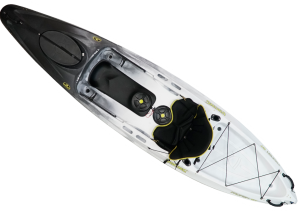 The Profish 400 is an excellent paddling kayak suitable for any paddling experience. 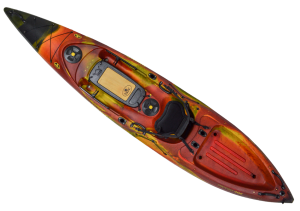 From long offshore excursions to inshore recreational paddles, the Profish 400 makes no fish too far. 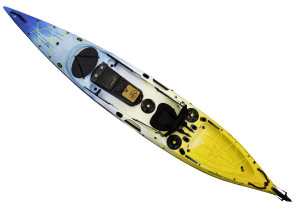 At just under 12′ long, the Profish GT is designed for paddlers of all sizes looking for a compact paddling and pillaging platform that is exceptionally easy to handle both on and off the water. Whether you’re paddling for pleasure or you’ve got fish on your mind, paddle the Reload and learn why many are calling it the best paddling sit-on-top on the market. 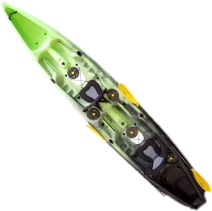 The Viking Tempo Fisherman II double kayak , answers the long awaited call for a stable, roomy fishing and expedition kayak. The extra room is finally putting an end to the tandem paddle fight.